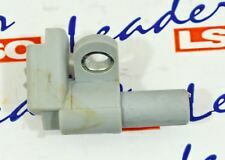 Camshaft Speed / Position Sensor. Focus C-Max. Focus II / III. This will fit the following vehicles:-. Ford Fiesta MK VI [2008-2017] Hatchback. Ford Fiesta V MK V [2001-2010] Hatchback. Ford Fusion JU_ [2002-2012] Estate. Fits the following models. Transmission type B5 / IB5. Remarks: 3 pole. Our service team is happy to assist you. # GENUINE SKV GERMANY - SPEED SENSOR - HEAVY DUTY. # About SKV Germany. 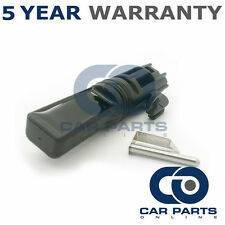 Are you worrying how to proceed warranty if you are from different country?. For details seeWarranty Policy. Product Type: Speed sensor. 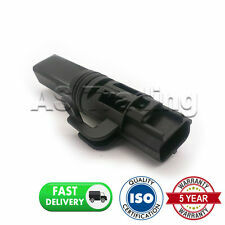 Speed Sensor Ford:FOCUS II 2,FIESTA V 5,VI 6,C-MAX,FUSION,IV 4 1066383 1085854 Febi bilstein 37333. Speed SensorFord PkwC-MAX 03, Fiesta 02, Fiesta 08, Fiesta 96, Figo 11, Focus 04, Focus 08, Focus 99, Fusion 02. Ford Fiesta MK VI [2008-2017] Hatchback. Ford Fiesta V MK V [2001-2010] Hatchback. Sensor Type Speed. Ford fusión Estate JU_ [2002-2012]. 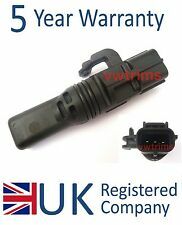 Other Part Number Speed Sensor, Repair Kit, Set. Imágenes del producto. FENSTERHEBER KOMPLETT. FENSTERHEBER TEILE. 1 Sensor (Ohne Kabel). Ford Fiesta V JH_, JD_ (2001-2008). Ford Fiesta VI -- (2008-2017). Ford Fusion JU_ (2002-2012). Getriebe Typ B5/IB5.